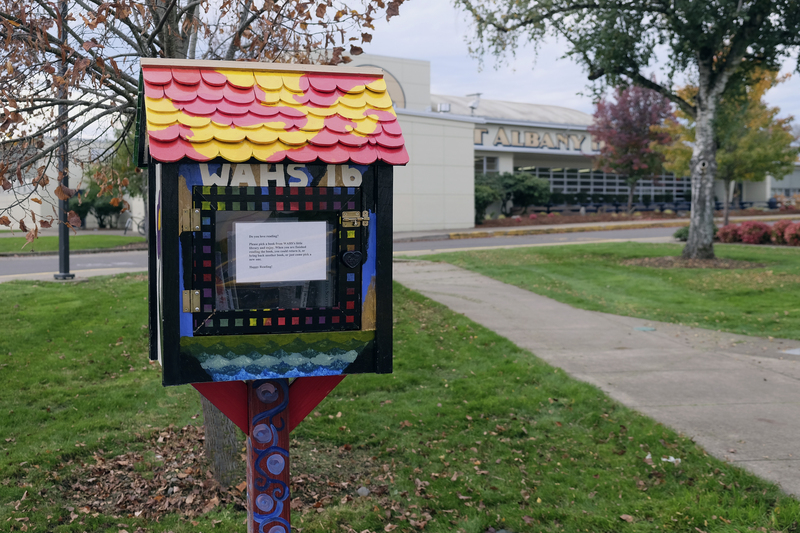 If your neighborhood needs a local library, you can purchase one from West Albany High School students later this month. The “little libraries” are constructed by students in Jeff Hawkins’ trades class and decorated by art students in Babette Grunwald’s art class. Mr. Hawkins expects to charge $300 for a new, decorated library structure. If you are interested, email him at jeff.hawkins@albany.k12.or.us. Read more about the project in the Democrat-Herald.